There's not much about Northern Fairfield County that Leslie has not experienced first-hand. A long-time resident of Ridgefield, Leslie has spent the past 25 years exploring all that Greater Fairfield County has to offer. It's here that Leslie has raised her children, volunteered for various organizations, and made her home. Her knowledge, experience, and unabashed love of the area are just some of the obvious qualities that make Leslie the perfect partner for finding or selling your home. Before her real estate career began, Leslie was a competitive athlete skiing for the US Ski Team for 12 years. She traveled extensively during that time and competed in 2 Olympic games. What drove Leslie to compete in ski racing is the same formula that drives her success today: Passion + Perseverance = Success. It's in her blood. And when you're looking for the perfect home (or the perfect buyer) what you want - and need - is someone who is driven to succeed, given any challenge. 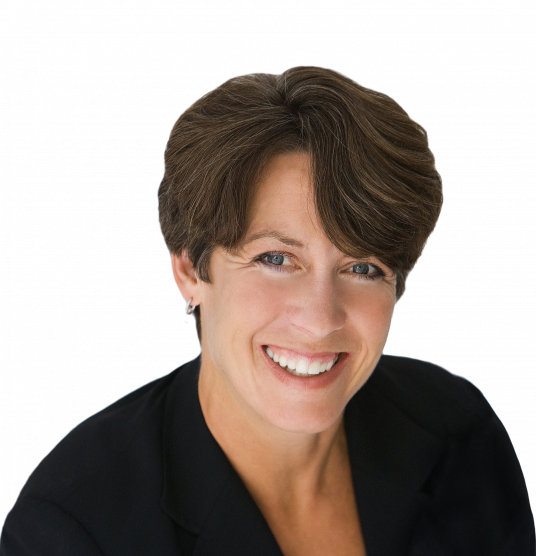 Leslie is especially knowledgeable in the specialties of first-time home buying, vacation homes/retreats, antique homes, investment homes, and empty nesters. Let Leslie's skills and experience work for you. Leslie helped us find a house when we arrived from abroad (in 2014). We had a very short time window to find a home. Leslie found the right selection of homes for us and worked around our schedule. She provided good market background, good value assessment and had the right instinct to match us to a home that would fit our needs and budget. She helped us navigate the mortgage market and worked diligently with the sellers to allow us to move into the house on temporary rental terms until the closing. Leslie is a trustworthy, no nonsense, fair and hard working agent, she knows the Ridgefield and Fairfield county markets exceptionally well. I could not recommend a better real estate broker whether buying, selling or renting. Leslie supported us throughout the entire process from the very beginning. She was patient with us as we looked at all different homes: looking at beautiful houses that seemed to only slightly exceed our budget, looking at other ones that we immediately got the hunch were not for us, and looking at the one home we just knew WAS "for us". She was never pushy and did not put pressure on us to make decisions quickly. She was extreme accommodating with two very crazy work schedules. Leslie is so genuine and readily offered advice about many things we simply had no knowledge of as non-owners at the time. She always made herself available via text, in person or phone call. She was patient as we worked with the bank and a first time homebuyers program. She helped us navigate the webs of documents we needed, understand the time line and what our expectations should be. This is why I attribute our business with Leslie as luck. We felt as though working with her was like working with a friend who was 100% behind us with support, with expertise and shared happiness as she truly made our dream become a reality. I would have never dreamed we would be home owners today! I would absolutely recommend Leslie's services to anyone looking on the market, even if you "don't know". She was always professional, kind, and just a pleasure to be around! Thank you Leslie for changing our lives and helping two former strangers become happy homeowners! If you are looking for an experienced real estate agent who works hard and cares about doing the right thing, I can highly and without reservation recommend Leslie Krichko. I worked with Leslie in 2004 to find my antique colonial. Leslie found exactly the right house - and it was only the 5th house we looked at! She listened to what I wanted and then showed only the homes that met my criteria. Then she skillfully led me through the bidding process. I love my home and the memories we have created here. And I would not have that without Leslie’s insight and skill. In 2016 when I wanted to buy an investment property, there was only one call - Leslie. This time I only saw one house. She was right on target. And Leslie helped me find the right people to repair and renovate my home. But it gets better. When I first moved in, I called Leslie because my hot water had stopped working and I was going to go to a hotel. The next thing I know, Leslie is at the door with her father. Turns out my pipes were in the process of freezing. Leslie and her father saved my home! So with Leslie, you get honesty, kindness, help, skill and have lots of fun along the way.